Is your little one all about the glam factor? 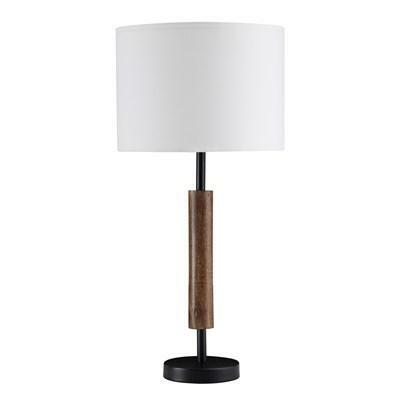 If so, she’ll love the Maddy table lamp. 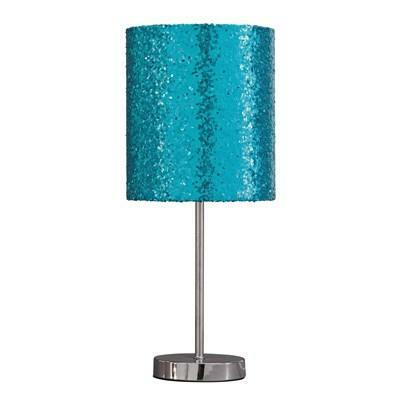 Sequined drum shade in teal lights up her room in style. Silvertone metal base is a classy touch to this glitzy design. Is your little one all about the glam factor? 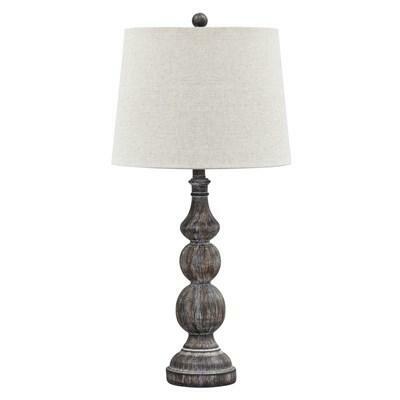 If so, she’ll love the Maddy table lamp. Multicolored sequined drum shade lights up her room in style. Goldtone metal base is a classy touch to this glitzy design. 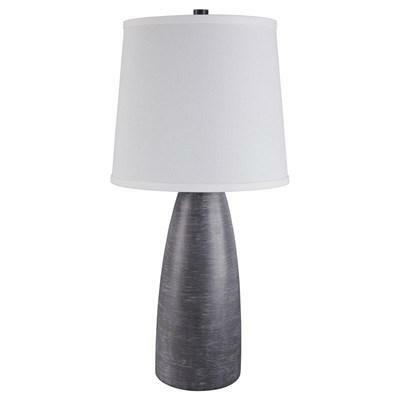 Lamps don’t get much cooler than the Nettie table lamp. 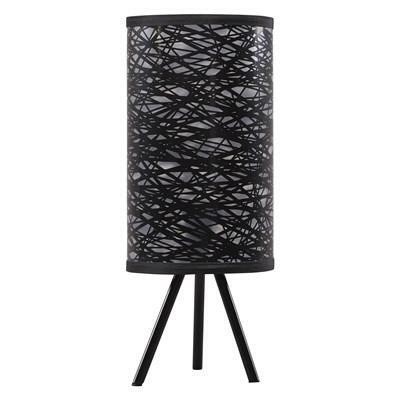 Drum shade is covered in web of black lines in varying widths. Tripod base is a solid foundation. Edgy black and white pattern works with a variety of styles. 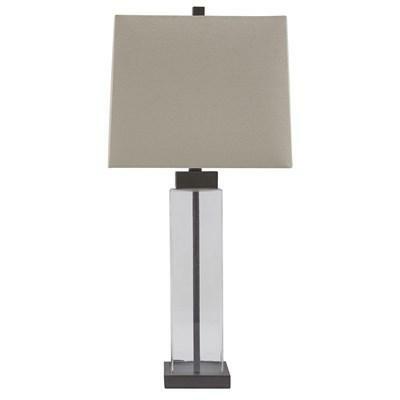 The Aniela table lamp lights up your design world. Bronze-tone metal base with open silhouette creates engaging negative space. Linear profile is just what you’ve been craving. 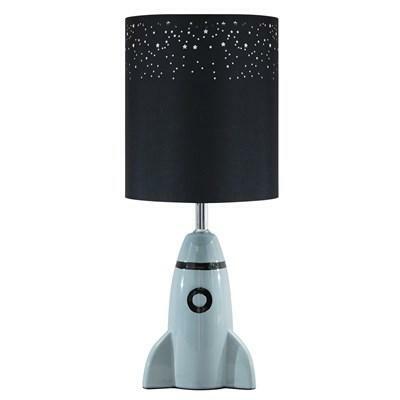 Have a blast decorating your kid's room with help from the rocket-themed Cale bedside lamp. With details like star-shaped cutouts adorning the cylindrical drum shade, what a stellar choice. 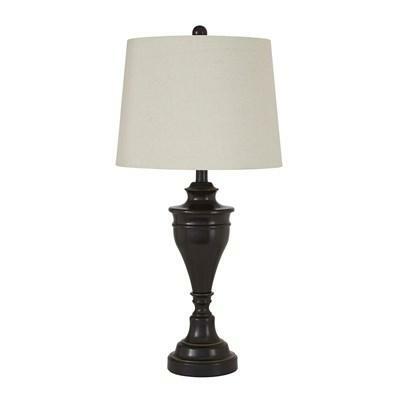 Delightfully turned pedestal base gives the Signature Design Darlita table lamp a sense of easy elegance. Dark bronze-tone metal is a simply stylish counterpoint. The Makara table lamp is an enticing merge of mixed materials. 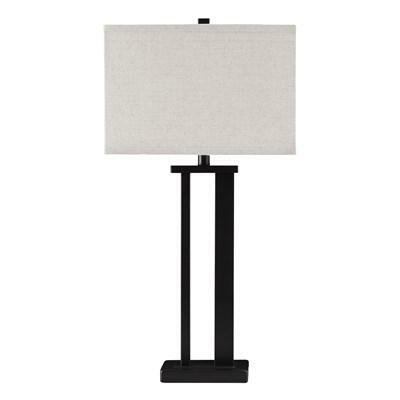 Textured black finished metal stands poised atop a block of warm brown wood. Open design is right at home among casual decor. Who knew geometry could be so stylish? 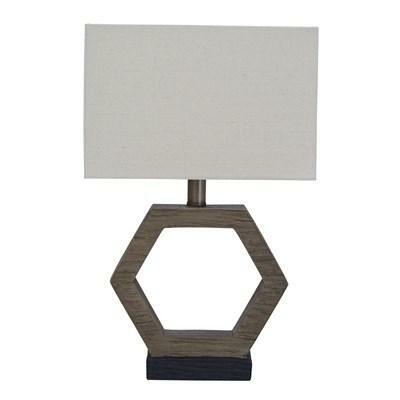 Marilu table lamp's hexagonal base sports a stunning gray washed finish over faux wood. 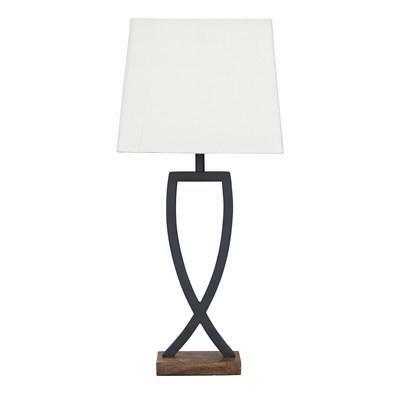 Angular silhouette brightens up your space with the right amount of style and light.